India, meet Ruuh. Ruuh, this is India. Microsoft has released yet another chatbot, and this one is aimed specifically at the Indian market. Named Ruuh, the chatbot was said to enjoy chatting about Bollywood, music, humour, travel and browsing the net. It is available only in India, and only in English, at least for now. It was launched on February 7, with Microsoft filing for a trademark on March 15. 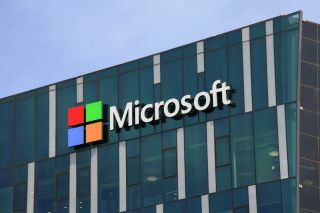 "At Microsoft, we're focused on helping people and organizations achieve more through new conversation models,” a company spokesperson told ZDNet. “We're excited about the possibilities in this space and are experimenting with a limited pilot program of a new chatbot that's focused on advancing conversational capabilities within our AI ambition. We hope to expand this chatbot to a broader audience in the future." Microsoft is investing plenty in the AI and chatbot technologies. This is not the first chatbot to come out of Redmond, and probably won’t be the last. However, the company has had some hiccups with previous iterations. Tay.ai was released last March, only to be pulled offline fairly soon. As it turns out, people (I’d rather call them ‘trolls’, to be honest) trained Tay racial slurs and taught it hate speech. Tay was available for Twitter, Snapchat, Kik, and GroupMe. After Tay, Microsoft released Zo, back in December. This chatbot has been on a much shorter leash, thanks to events surrounding Tay. Let’s see how Indians treat their robotic friends.